Perkin Elmer ISS 200 Advanced LC Sample Processor & Extra Parts HPLC . 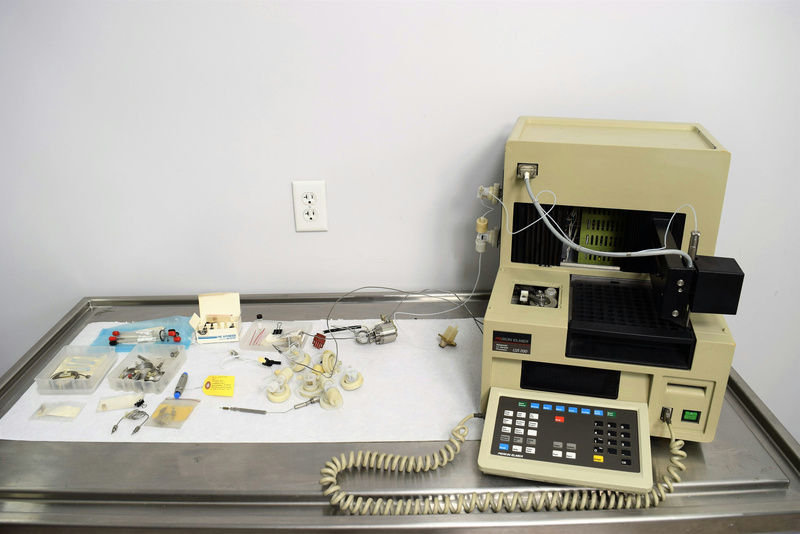 New Life Scientific, Inc.
New Life Scientific technicians tested and evaluated this unit. There are obvious signs of wear and functional concerns, leading the technicians to suggest this product be sold for parts or repair. The unit initializes, but when flushing the needle, the piston pump motor fully retracts, and makes a loud hum, generating an error. The diagnosis may be a faulty location sensor for the lower piston. This product has obvious signs of age and will be sold for parts / in need of repair. *Extra parts as pictured--varying condition. Some cosmetic wear and age, powers up but will need repaired. Refer to listing for details.